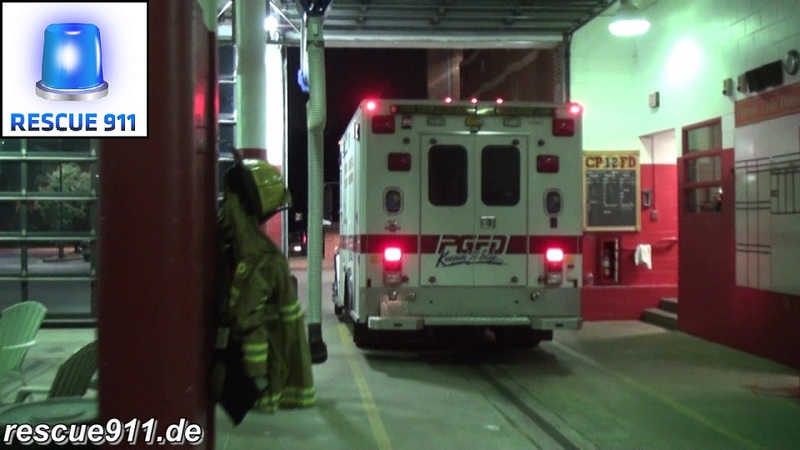 Quick video shot of PGFD's Paramedic Ambulance 12 (ALS unit, radio call sign 812) responding from the College Park fire house to a medical call. Medic 12 is one of the busiest medic units in the county. Der Rettungswagen 12 (Funkkenner 812) des PGFD rückt von der Feuerwache College Park aus zu einem medizinischen Notfall.